1868 Rev. Samuel Cornelius D.D. Philip Hodemaker (Holland, Europe) A.M.
1871 Rev. Alfred Owen (Detroit) D.D. 1874 Rev. E. J. Fish (Adrian) D.D. Prof. Edward Olney (Ann Arbor) L.D. 1875 Rev. William T. Stott (President of Franklin College, Franklin, IN) D.D. Jeanette Fisher (Principal of Michigan Female Seminary) A.M.
1878 Prof. Joseph P. Vrooman (Michigan State Normal School) M.A. 1879 George Washington Northrup (D.D.) (Chicago) LL.D. 1882 Rev. John Everett Clough (Angola, India) D.D. George W. Greene, M.D. (Three Rivers) M.A. 1885 Rev. George F. Hunting (Kalamazoo) D.D. Rev. Asher E. Mather (Battle Creek) D.D. Prof. Edward Olson (University of Chicago) Ph.D.
Prof. Lewis Stewart (University of Chicago) Ph.D.
1887 Rev. John S. Holmes (Adrian) D.D. 1888 Julia A. King M.A. 1896 Rev. Lemuel Call Barnes (Pittsburgh) D.D. 1897 Donald Drummond MacLaurin D.D. 1900 William A. Moore LL.D. 1903 William M. Upcraft D.D. 1906 Robert J. Burdette D.D. 1908 Wooster Woodruff Beman LL.D. 1911 Stillman George Jenks M.S. 1912 Albert Lenox Vail D.D. 1915 Shattuck Osgood Hartwell LL.D. 1917 Caroline Bartlett Crane LL.D. 1918 David Triestram Magill D.D. 1919 Clarke Benedict Williams D.S. 1921 John E. Smith (K 1894) D.D. 1922 Floyd I. Beckwith (K 1904) D.D. James M. McGee (K 1905) D.D. 1923 Merrill C. Hart (K 1913) Sc.D. Charles M. Stuart (K 1880) D.H.
1924 Albert E. Jenks (K 1896) Sc.D. Mark F. Sanborn (K 1905) D.D. 1925 Henry M. Bates LL.D. 1926 James B. Fox (K 1896) D.D. Daniel C. Holtom (K 1907) D.D. John E. Walker (K 1907) LL.D. 1927 John R. Effinger Litt.D. 1928 John E. West LL.D. 1929 George E. Merrill Sc.D. 1930 Maynard Owen Williams (K 1910) Litt.D. 1931 James E. Napp (K 1908) D.D. 1932 Coe S. Hane (K 1899) Litt.D. Floyd C. Wilcox (K 1910) D.D. 1933 Justin H. Bacon Litt.D. Stella Fisher-Burgess (K 1905) Litt.D. Leroy J. Buttolph (K 1913) Sc.D. Stewart B. Crandall (K 1903) D.D. Vernor C. Finch (K 1908) Sc.D. Ernest E. Ford (K 1897) D.D. Paul W. Hayne (K 1897) D.D. 1935 John W. Elliot D.D. Lewis E. Martin (K 1888) D.D. Leonard H. Stewart (K 1885) Sc.D. 1936 Augustis W. Crane Sc.D. 1937 Frederick W. Heyl Sc.D. 1938 Claude V. Courter (K 1911) Ed.D. Wilbur Nelson (K 1901) D.D. 1939 John C. Walker (K 1918) D.D. 1940 M. Forest Ashbrook D.D. 1941 Enos DeWaters (K 1899) Sc.D. Alfred G. Walton (K 1911) D.D. Forbes Wiley (K 1906) Sc.D. 1942 Charles S. Campbell LL.D. 1943 Carl H. Chatters (K 1919) LL.D. 1944 Donald R. Belcher (K 1909) LL.D. J. Melvin Prior (K 1926) D.D. 1945 J. Burton Bouwman (K 1916) D.D. Harold W. Brown (K 1924) D.H.
Martha J. Gifford (K 1910) Sc.D. 1946 Otis A. Earl LL.D. Warren C. Johnson (K 1922) Sc.D. Carl H. Norcross (K 1923) Sc.D. 1949 Dwight H. Rich (K 1919) LL.D. 1950 Charles K. Johnson (K 1932) D.D. 1951 Dwight S. Large D.D. Louis T. Thompson (K 1914) Sc.D. 1952 Kenneth S. LaTourette D.H.
1954 Franklin D. Elmer D.D. George K. Ferguson (K 1913) LL.D. 1955 Charles R. Bell, Jr. D.D. Frederic Groetsema (K 1931) D.D. 1956 Homer J. Armstrong D.D. 1958 Burton L. Baker (K 1933) Sc.D. Winthrop S. Hudson (K 1933) D.D. Frederick O. Pinkham (K 1942) LL.D. Leroy D. Stinebower (K 1926) LL.D. Dee Tourtelotte (K 1925) Sc.D. 1960 Marston S. Balch (K 1923) L.H.D. 1961 Gene E. Bartlett D.D. William P. Woodward (K 1918) D.D. 1962 John D. Montgomery (K 1941) LL.D. 1963 Frances O. Clark (K 1928) D.Mus. Willis F. Dunbar (K 1924) LL.D. Curtis W. Sabrosky (K 1931) Sc.D. 1967 H. Gardner Ackley LL.D. 1968 Harvey G. Cox D.D. 1969 John Hope Franklin LL.D. 1970 Robert K. Merton L.H.D. Laurence L. Spitters (K 1948) LL.D. 1971 Rene J. Dubos L.H.D. Gordon F. Kurtz (K 1948) D.D. Donald Goodrich Little (K 1916) Sc.D. 1974 Albert Calhoun Pittman D.D. 1975 O.B. Hardison, Jr. Litt.D. 1976 Lawrence A. Cremin L.H.D. Dorothy Upjohn Dalton (K 1914) D.H.
1978 Ralph David Abernathy D.D. Ray T. Parfet, Jr. L.H.D. 1979 Landrum R. Bolling L.H.D. William Sloane Coffin, Jr. D.D. 1981 E. Mandell DeWindt LL.D. Paul Simon: U.S. Senator and Representative from Illinois L.H.D. 1982 Marshall D. Shulman L.H.D. 1983 John Torben Bernhard: President of Western Michigan University L.H.D. Beverly Roberts Gaventa: Professor of New Testament Literature and Exegesis at the Princeton Theological Seminary D.D. Amory Bloch Lovins: Director of Research of Rocky Mountain Institute D.Sc. Harry Albert Towsley (K 1926): Pediatrician, professor, and philanthropist D.Sc. 1984 Genevieve U. Gilmore L.H.D. Jitsuo Morikawa: Baptist minister D.D. Joe Hinton Stroud: Editorial page editor of the Detroit Free Press L.H.D. George Wald: Biochemist and recipient of the Nobel Prize in Physiology or Medicine L.H.D. 1985 Shirley Anita Chisholm: U.S. Representative from New York L.H.D. Marshall Theodore Meyer: Rabbi and religious leader D.D. Paul R. Halmos: Professor of Mathematics, Indiana University L.H.D. 1986 Kimpianga Mahaniah (K 1967): Professor at the National Teaching Institute D.D. E. Gifford Upjohn: Former CEO of Upjohn Company LL.D. and the American Foundation for Pharmaceutical Education LL.D. George Vail Pixley (K 1958): Professor of Biblical Studies , Baptist Theological Seminary of Nicaragua Seminario Teologico Bautista D.D. Dennis Brutus: South African activist and poet L.H.D. Ronald Dworkin: Professor of Law and Philosophy at NYU L.H.D. 1988 David S. Broder: Political columnist L.H.D. Hildegard Goss-Mayr: Honorary President, International Fellowship of Reconciliation D.D. Martha Craven Nussbaum: Research Advisor at the World Institute for Development Economics Research L.H.D. 1989 Robert Jewett: Professor of New Testament Interpretation at Garrett Evangelical Theological Seminary D.D. Mark O. Hatfield: U.S. Senator from Oregon L.H.D. Herbert H. Dow II: Vice President of Dow Chemical Company L.H.D. 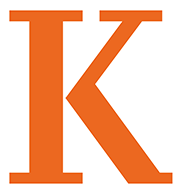 Wen Chao Chen: Professor of Political Science, Kalamazoo College L.H.D. 1990 Yehudi Menuhin: Violinist D.Mus. Jon W. Fuller: Senior fellow at the National Association of Independent Colleges and Universities L.H.D. Margaret R. Miles: Professor of Historical Theology at the Harvard University Divinity School D.D. William A. Sederburg: Michigan Senator LL.D. William J. Raspberry: Urban and minority affairs columnist, L.H.D. 1991 Wayne Booth: Professor of English, University of Chicago L.H.D. Theodore Cooper: Chairman and CEO of the Upjohn company D.Sc. Howard Wolpe: Former Presidential special envoy to Africa’s Great Lakes Region LL.D. David Warren Brubeck: Jazz musician D.Mus. 1992 Amy Gutmann: Professor of Politics at Princeton University LL.D. Arthur Ashe: Champion tennis player L.H.D. Joseph L. Roberts, Jr.: Senior Pastor of the Ebenezer Baptist Church D.D. Johnetta Cole: Educator and President of Spelman College L.H.D. 1993 Nancy Rosenblum: Professor of Ethics in Politics and Government, Harvard University L.H.D. Yoshimi Takeda: Music Director of the Kalamazoo Symphony Orchestra D.Mus. 1994 Michael Walzer: Professor in the School of Social Science at the Institute for Advanced Study, Princeton L.H.D. Charles G. Adams: Pastor of Hartford Memorial Baptist Church in Detroit, Michigan D.D. 1995 Hilary Putnam: Mathematician and philosopher L.H.D. Martha G. Parfet: Chairwoman of Gilmore Brothers, Inc. D.H.
Paul H. Todd,Jr. : U.S. Representative from Michigan D.H.
1996 Daniel Charles Maguire D.D. Santiago Gangotena: Director of Universidad de San Francisco de Quito, Ecuador D.Sc. 1997 Richard Crawford: Professor of Musicology, University of Michigan D.Mus. 1998 Louise Goss K1948 D. Mus. 1999 Dr. Martin E. Marty L.H.D. Dr. Kenneth G. Elzinga K1963 L.H.D. Dr. Rafael Muatine Munavu L.H.D. 2001 Dr. Akira Iriye L.H.D. Dr. W. Maxwell Cowan L.H.D. Rev. Dr. Otha Gilyard L.H.D. Mr. Robert L. Payton L.H.D. 2002 Dr. Mary Patterson McPherson L.H.D. 2003 Mr. John W. Brown L.H.D. Dr. Judith Mbula Bahemuka L.H.D. 2004 Mr. Richard Ford L.H.D. Mr. Ihsan H. Shurdom L.H.D. Dr. James F. Jones, Jr. L.H.D. 2005 Dr. William H. Gass L.H.D. Dr. Grace Lee Boggs L..D.
Mr. Robert O. Kramer L.H.D. 2008 Mr. Victor K. Braden Jr. ’51 D.Sc. 2009 Mrs. Margaret Ann “Ranny” Riecker L.H.D. 2010 Mr. Carl M. Levin LL.D. 2011 Mr. Noah Feldman LL.D. 2012 Linda Rae Murray D.Sc. 2013 Donald R. Parfet D.H.D. 2014 Rafael A. Suarez, Jr. D.H.D.